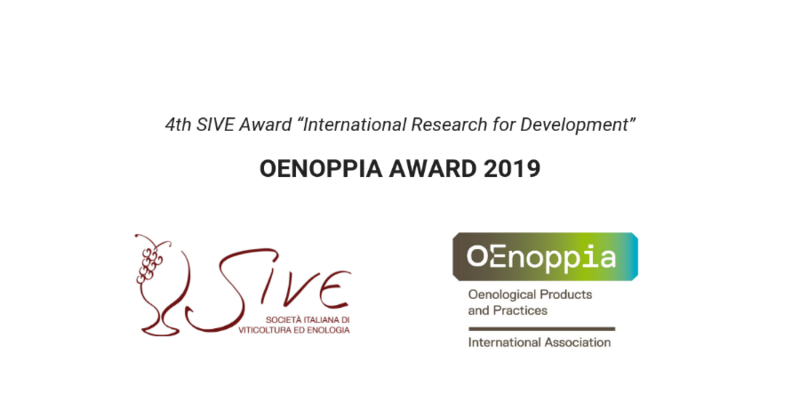 SIVE announces the beginning of the application phase for the 4th SIVE Award “International Research for Development” OENOPPIA AWARD 2019, of € 7.500. The OENOPPIA AWARD is open to Italian, European and extra-European researchers and it is sponsored since 2015 by the association OENOPPIA. Authors who wish to candidate to OENOPPIA Award 2019 by presenting one or more research papers performed in the last three years, must send the completed form by December 21st, 2018, according to the instruction detailed in the attached documents. The same research, if performed by an Italian group, can also candidate to the ASSOENOLOGI G. Versini Award 2019, although by submitting two distinct application forms.